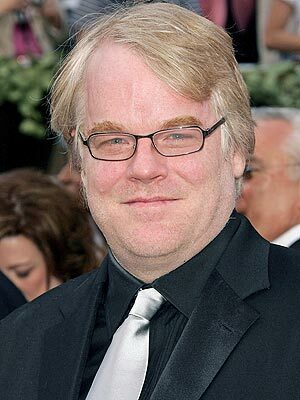 Another tragic celebrity drug overdose death. Found in NY apartment with needle in arm. Shame.....one of my fav actors. I'll never understand these types of deaths. Richard Bull (June 26, 1924 – February 3, 2014) was an American film actor, stage actor and television actor. He is best known for his performance as Nels Oleson, the kindly proprietor of Oleson's Mercantile and the long suffering husband of his wife Harriet on the NBC TV series Little House on the Prairie which aired from 1974 to 1983 and "Doc" on Voyage to the Bottom of the Sea. Bull began his stage career at the famous Goodman Theatre in Chicago, Illinois. He left Los Angeles in 1994 with his wife Barbara "Bobbi" Collentine to live in Chicago. Always wanted his character,Nels Oleson, to smack his wife in the head with a shovel. g elit. Maecenas feugiat consequat diam. Maecenas metus. Vivamus diam purus, cursus a, commodo non, facilisis vitae, nulla. Aenean dictum lacinia tortor. Nunc iaculis, nibh non iaculis aliquam, orci felis euismod neque, sed ornare massa mauris sed velit. Nulla pretium mi et risus. Fusce mi pede, tempor id, cursus ac, ullamcorper nec, enim. Sed tortor. Curabitur molestie. Duis velit augue, condimentum at, ultrices a, luctus ut, orci. Donec pellentesque egestas eros. Integer cursus, augue in cursus faucibus, eros pede bibendum sem, in tempus tellus justo quis ligula. Etiam eget tortor. Vestibulum rutrum, est ut placerat elementum, lectus nisl aliquam velit, tempor aliquam eros nunc nonummy metus. In eros metus, gravida a, gravida sed, lobortis id, turpis. Ut ultrices, ipsum at venenatis fringilla, sem nulla lacinia tellus, eget aliquet turpis mauris non enim. Nam turpis. Suspendisse lacinia. Curabitur ac tortor ut ipsum egestas elementum. Nunc imperdiet gravida mauris. James Avery of Fresh Prince fame dies of complication from open heart surgery!